Flushmate II 501-B pressure assisted flushing system. Location of label with model and serial numbers. Label with model and serial numbers for recalled systems. 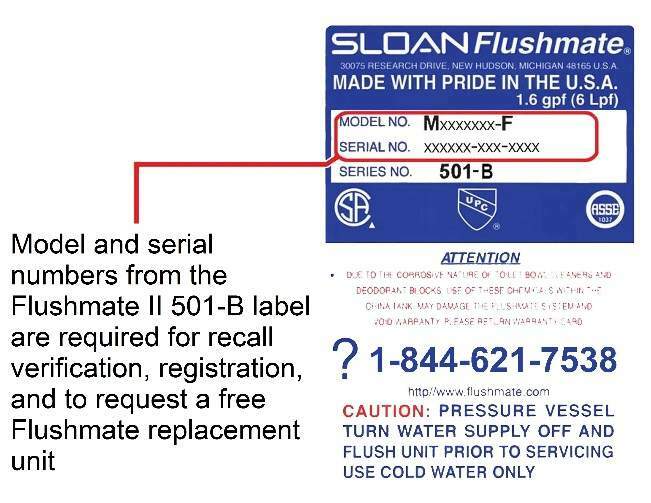 Flushmate® recalls Flushmate II 501-B pressure-assisted flushing systems due to the system can burst at or near the vessel weld seam releasing stored pressure. This pressure can lift the tank lid and shatter the tank, posing impact and laceration hazards to consumers and property damage. Consumers can contact Flushmate toll-free at 844-621-7538 between 8 a.m. and 10 p.m. ET Monday through Friday and between 8 a.m. and 6:30 p.m. ET Saturday, or online at www.flushmate.com and click on “501-B Recall” in the blue box on the top of the page for more information. 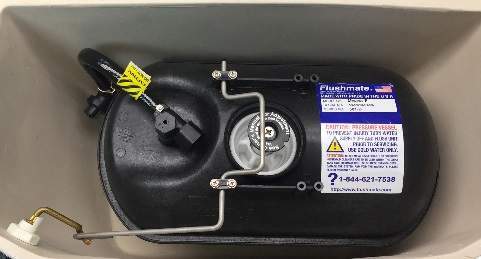 Flushmate has received 1,446 reports in the U.S. and 7 reports in Canada of the units included in this recall bursting, resulting in property damage, totaling about $710,000, including 23 injury reports with one requiring foot surgery. 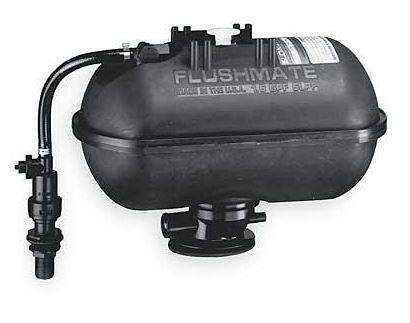 Flushmate II 501-B system was sold at Home Depot and Lowe's stores, toilet manufacturers, distributors and plumbing contractors nationwide and online at www.grainger.com, www.hdsupply.com, www.homedepot.com and other online retailers from September 1996 through December 2015 for about $108 for the units without toilets.